What Does Code P0982 Mean? The automatic transmission does all the same things you would do to change gears in a manual transmission – modulating clutch application, gear position, throttle position, etc. When the automatic transmission was invented, it did all these things using an ingenious arrangement of spool valves, operated purely by variances in hydraulic pressure. 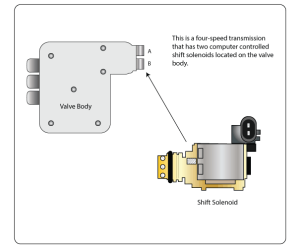 In the modern automatic transmission, most of the spool valves have been replaced by solenoid valves, controlled electronically by the transmission control module (TCM), which may or may not be a separate module from the ECM (engine control module). When the driver selects “D” on an automatic transmission, the TCM shifts through specific gear ratios by activating or deactivating of a number of shift solenoids which, in turn, control brakes, clutches, and bands in the automatic transmission. The result, optimally, is smooth acceleration and shifting of gears from 1st, 2nd, 3rd, and so on. During operation, the TCM checks the operation of the solenoid valves, consisting of a resistance check and speed sensor verification. 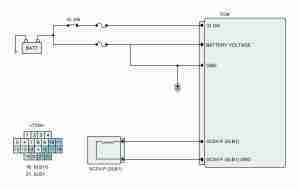 If one of these checks fails, such as encountering a short circuit on Shift Solenoid D (SSD), the TCM disables that control circuit and sets DTC P0982 – Shift Solenoid F Control Circuit Low in ECM memory. What are the common causes of code P0982 ? Depending on year, make, and model, DTC P0982 may have a couple of causes. Here are some of the most common. Stored Vehicles – Electrical problems are very common on vehicles with rodent infestations, because mice will chew through practically anything, including a wiring harness, to make room for their nests. Be on the lookout for nesting materials and droppings, which may point you directly to the short circuit. Poor Repairs – Major repairs, such as replacing a radiator or a cylinder head, may result in in a misrouted harness or poorly installed harness stays. If the wiring harness chafes on a moving part or is pulled taut, a short circuit condition could result from exposed wires or poor connections. What are the symptoms of code P0982 ? 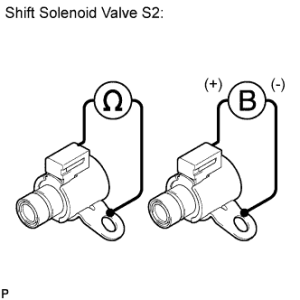 Because the TCM can no longer control Shift Solenoid D, one or more gears may not be accessible in “D” mode, which means that you will encounter drivability problems. Specific drivability problems depend entirely on how the manufacturer decided to use SSD. If SSD is used for one of the brakes, for example, two or more gears may be locked out, so you may experience poor acceleration (taking off in 2nd or 3rd gear) or high-revving before shifting (taking off in 1st gear and shifting into 5th). If the SSD is used for a pressure regulator or torque converter lockup, then the effects may be slightly less noticeable, such as harsh shifting, slow engagement, or poor cruising fuel economy (both from a free torque converter and from the ECM running in open loop). Depending on your specific automatic transmission’s failsafe design, you may be able to manually shift into 1st or 2nd gear by putting the shift lever in “L” or “2” position. How do you troubleshoot code P0982 ? Because DTC P0982 describes an electrical problem, you’ll need a DVOM (digital volt-ohm meter) and wiring diagram to perform some circuit checks between the TCM and the transmission. You may be able to find wiring diagrams, specific to your vehicle, online, at an autoparts store, or even at your local dealership, if you ask nicely. Harness Check – First, check the wiring harness, starting from the ECM and TCM and following it to the transmission. Check for signs of damage, such as from rodent infestation or a poorly-routed harness following other repairs. A chafed wire harness can easily cause open circuit or short circuit problems. Check that all connectors are properly connected. It may be wise to disconnect these connectors and make sure there are no bent pins, corrosion, or water entry. Keep in mind that there may be intermediate connectors, such as at the firewall or connecting the transmission sub-harness and engine harness. A good EWD (electrical wiring diagram) will indicate the location of all these check points. 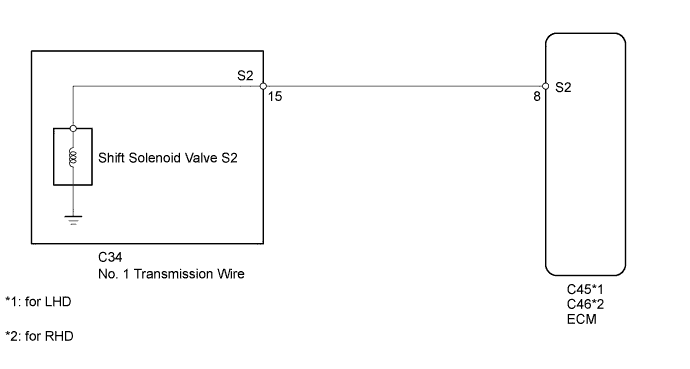 Circuit Check – With the key off, use the EWD and DVOM to determine which circuits carry the signal for Shift Solenoid D. From the disconnected ECM or TCM connector, you should be able to perform a resistance check from the TCM to SSD, including the harness. Depending on make and model, you may be checking for resistance between two terminals or between one terminal and body ground. Check your EWD to be sure. Typical resistance should be somewhere between 10 Ω and 20 Ω. If we measure acceptable resistance, you may have a ECM fault or an intermittent harness problem. Do not condemn the ECM until you have checked everything else. An intermittent harness problem may be checked by wiggling the harness and connectors and watching resistance measurements. 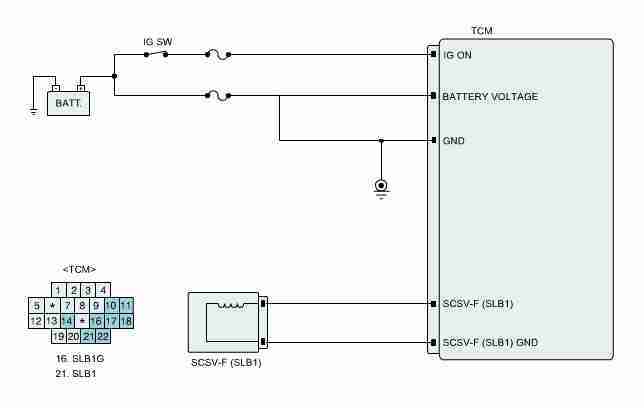 In the case of DTC P0982, we’d expect to find low resistance or a short circuit, in which case you will need to check the harness for resistance. Remove the transmission connector and then measure resistance at the TCM connector. It should read 10 – 20 Ω. If not, repair the short circuit in the harness. If the harness is good, the last remaining part is the shift solenoid itself. 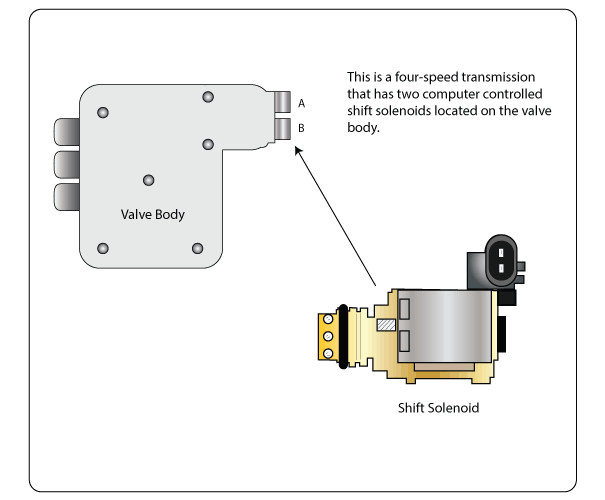 Solenoid Check – Depending on make and model, SSD may or may not be located inside the transmission. If located outside, measure resistance right at its connector. If SSD is located inside, double check the resistance measurement at the transmission connector. 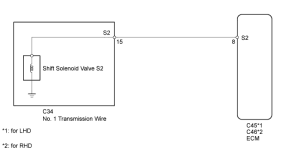 If you measure an open circuit or no connection to ground, there is one more sub-harness that connects directly to the solenoid, and you will need to drop the transmission oil pan to access it. At this point, you’re left with the transmission internal sub-harness and the solenoid. Circuit checks should determine whether you have a break in the sub-harness or an open solenoid. You can bench test the solenoid using a jumper to check for functionality. Repair or replace as necessary. None found. Ask a question about P0982.